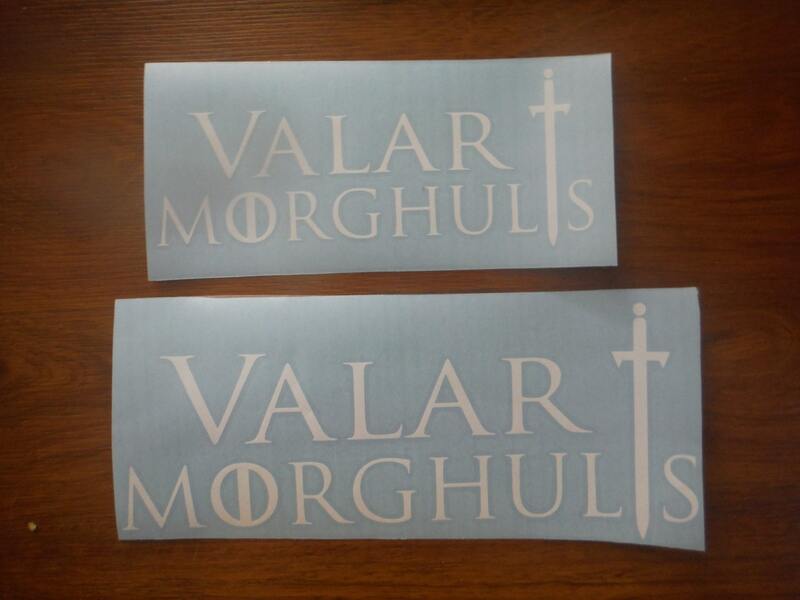 Game of Thrones Valar Morghulis Decals 4"-10"
Exactly as described & fast shipping. Now my hydroflask can proudly display my love for GOT. Thank you so much for my decal! It was exactly what I wanted! East application too! Went on beautifully. Quick delivery and email contact as well if any questions. Thanks guys!